While some students are lucky enough to be jetting off to a beach this reading week, the rest of us are stuck here in the snow. 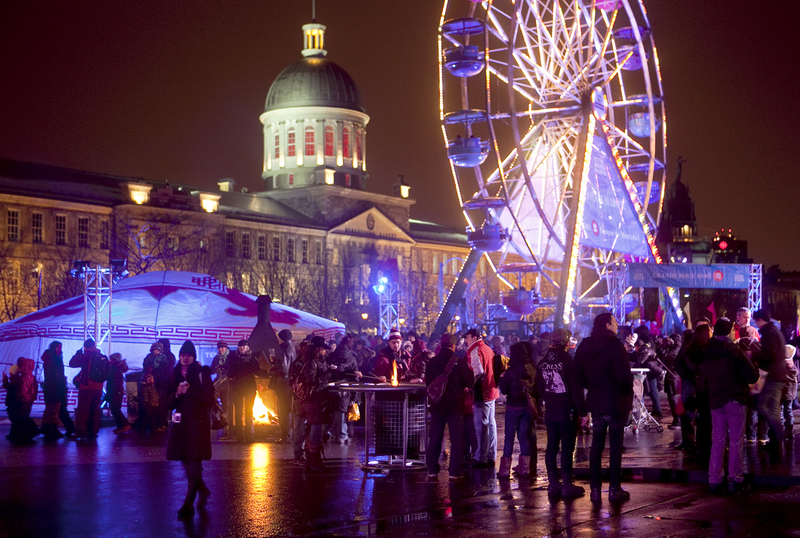 Thankfully, the Montreal High Lights Festival and its Nuit Blanche finale are here to keep us warm this winter break. With a multitude of events and activities happening between Feb. 17 and 27, there is no shortage of things to do. The programming is divided into several categories which tackle everything from performing arts and wining and dining to free outdoor programs, a mixed-media parade and the highly anticipated all-nighter. This year’s focus is “Celebrating Women,” a theme that has been in the making for a few years but finally came to life with the Festival’s newest sponsor L’OrÃ©al Canada. The event’s focus will be seen most in the Sun Life Financial Performing Arts section as well as the SAQ Wine and Dine Experience, where chefs and artists from all over the world have been invited to share their talents with a Montreal audience. While some of these events can be a little pricey, many others are completely free. So, rather than letting this reading week skulk away, why not spend it playing tourist in our city? One of the Festival’s main attractions is The BMO Bank of Montreal Celebration of Light. This outdoor programming features dozens of free activities in and around the Quays of the Old Port and Old Montreal. With an ice slide, sugar shack, skating rink and ferris wheel to keep you entertained, you may need to return on several occasions. February 17, 18 and 25 from 6 p.m. to 11 p.m.
February 19 from noon until 11 p.m.
February 20 and 27 from noon until 6 p.m.
February 26 from noon until 3 a.m.
At 8 p.m. on Feb. 17, 18, 19, 25 and all night long on the 26, there will be fireworks overlooking the Quays. Not only is watching things explode in the sky fun, but it makes a great backdrop for the free outdoor concerts that will be taking place on the nearby stage. After creating this event for the festival’s 10th anniversary, the High Lights Event returns this year starring DJ Misstress Barbara. Best known for her single “I’m Running” featuring Sam Roberts, Misstress Barbara will take participants along with her on a mixed-media parade that runs from the Jacques-Cartier Quay, along the Old Port Promenade to the CafÃ© des Ã‰clusiers. This moving event will include multimedia projections onto the surrounding buildings and urban animation. While a big portion of the festival is dedicated to the culinary excellence of visiting chefs, most meals are out of reach of a student budget. However, there are several restaurants offering lunch menus for $12.95 that offer you the fine dining experience without the added cost. If you are willing to dish out a few extra dollars, you can head online to bit.ly/hgwcic where you can search by budget to find a restaurant. Probably the most anticipated evening of the entire festival is Nuit Blanche, a night filled with visual arts, dance, exhibitions, cinema, music, theatre sports and more. One of the biggest draws is that most of these activities are not only completely free but also have extended hours. The events are not confined to Old Montreal and the Quays of the Old Port but are spread across the downtown area, the Quartier des spectacles, the Plateau-Mont-Royal, the Mile End and the PÃ´le Maisonneuve. For a list of programs head to www.montrealenlumiere.com and click the blue tab. With so much to see and so little time, the festival has released a smartphone app on their website that you can download for free so that you can stay connected with what is going on. You can also turn to page 11 for a list of events recommended by our arts editor. Participants can also take advantage of the free shuttle service that takes you from one quartier to the next. Another bonus is that the metro will stay open all night, but if you are unable to make it home, over two dozen hotels are offering accommodations for half the price. Rooms go on a first-come-first-serve basis and range in price from $67 to $179.